Each year we like to share our suggestions on home improvement and construction related tools that would make great Christmas gifts. 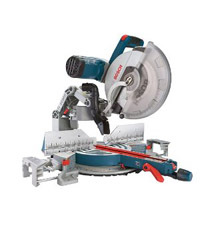 This year we’re starting out with a list of the top 10 power tools. This list has some expensive tools on it but trust me they are really great tools that are going to be hot sellers this year. Nice looking table on this post!!! Looks like some great suggestions! An even larger value than the CPACK3 is the refurb of the same. I bought my set on Amazon 3 years ago and everything appeared new but for less than $200. I keep using and abusing it and the set keeps on working. Great suggeestions, great post idea. I’d like one of each!!!! I have the DEWALT 12-Volt MAX line, and can recommend this drill to anyone interested in purchasing it. If you follow the link in the blog post you can get an excellent deal at Amazon, and you still have some time to get it by Christmas. I think it works out at around $132 with free shipping!